We are blessed with two beautiful heritage listed buildings, but like many churches, Holy Trinity Williamstown has found the cost of maintaining these buildings and providing a vibrant ministry to the Williamstown community had become beyond the resources of the small congregation. 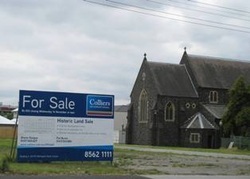 Around 1995 the decision was made to sell the surplus land behind the church (fronting Aitken Street) and use the proceeds to restore the buildings. The Maintenance Fund was established to provide for future improvements and to fund mission activities within the community. A percentage of the funds realised will be used by the Anglican Diocese for development of new churches in growing areas. The sale of the land required the removal of the third heritage building on the site, the old Parish Hall which had fallen into disrepair. This old building was sold to Westbourne School which had operated as Williamstown Grammar School in the Parish Hall from 1915-1956. The old hall was moved to the school's grounds in Sayers Road where it has been fully restored and is now used as the Junior School Hall (see below). An appropriate and fitting use for this old and much loved building. For details on the removal see Kersulting's website. The subdivision was finally approved in 2010 and in late 2011 the first lots were put on the market. The final house in the development is now under construction. 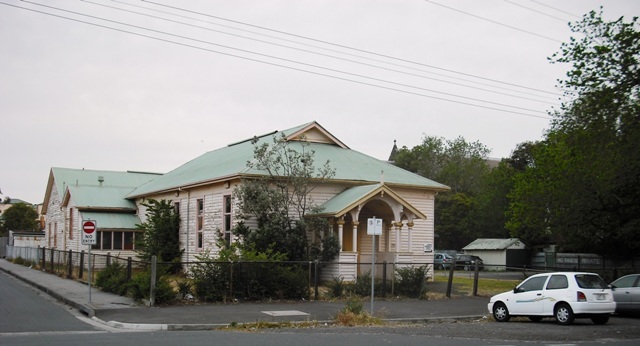 In the meantime the planned Parish Centre faced difficulty after difficulty as our Property Team navigated between the differing requirements of the Council, Heritage Victoria and the Melbourne Diocese. Finally in September 2016, the first sod was turned and building commenced. our beautiful Parish Centre was completed in November 2017 and dedicated on 3 December 2017. It is now being used by a range of Church and community groups and is home for our Community lunches and our Emergency Relief partnership with Anglicare.